A lightweight, non-streaking gradual tanner that gives a natural sun-kissed bronze without damaging sun exposure. 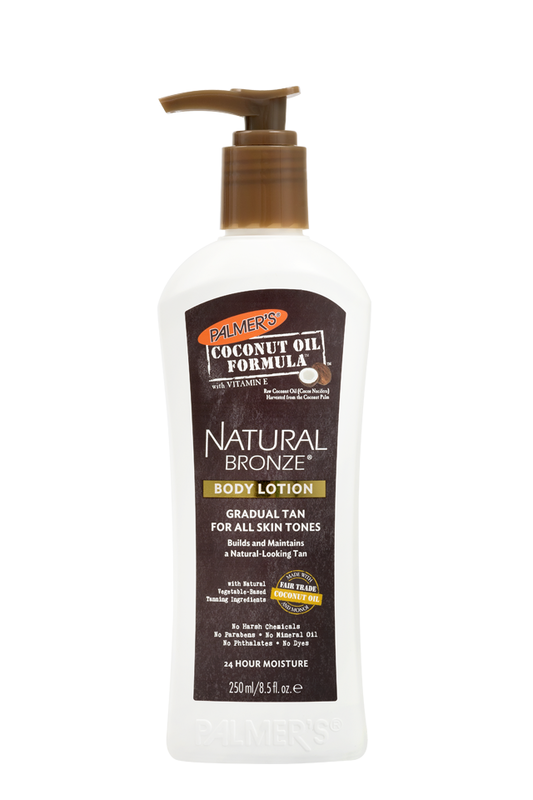 This deeply hydrating body lotion uses a skin-friendly natural & vegetable based tanning ingredient to give your skin a truly natural tan all year round & with a creamy coconut scent. FREE From : Parabens, Phthalates, Mineral Oil, MI, Artificial Colours, Dyes, Gluten or Sulfates. Available in 400ml & 250ml sizes. Coconut Oil - Rich in lauric acid, caprylic acid, capric acid, proteins and vitamin E. Lauric acid is highly prized for its anti-microbial and anti-bacterial properties while caprylic acid is a natural anti-fungal agent. These fatty acids create a micro-thin barrier, locking in moisture for longer, while naturally occuring proteins and Vitamin E aid in boosting skin renewal and regeneration. Coconut Water – Rich in microminerals and nurtients that nourishing and hydrate skin. A source of Vitamin C to brighten skin, cytokines to promote cell growth, and with anti-bacterial, anti-microbial and anti-parasitic properties to keep skin healthy. Coconut Milk - Soothing and moisturising, perfect for nourishing dry skin or replenishing sun-damaged skin. Tahitian Monoi Oil - Made from soaking the petals of the Tiare flower in locally sourced Coconut Oil and extracting the fragrance. Dubbed the ‘Sacred Oil’ by Polynesian cultures, Monoi Oil has been used for centuries by islanders to keep hair and skin moisturised and protected from environmental elements. Sweet Almond Oil - Rich in Vitamins A, B1, B2, B6, E and Omega 6 and Omega 9 fatty acids plus has anti-microbial properties. Marine Seaweed – Provides superior hydration as well as anti-oxidant and anti-inflammatory benefits which protect skin against external elements which contribute to premature ageing and deterioration of skin health. A gradual tanning moisturiser is the easiest and most fool-proof way to get that golden glow – the rich formula nourishes and softens skin whilst imparting a light tan with each application. The colour builds gradually meaning no streaky, patchy or orange results. Perfect for beginners, those with fair skin, or those wanting to make a traditional fake tan or spray tan last longer. 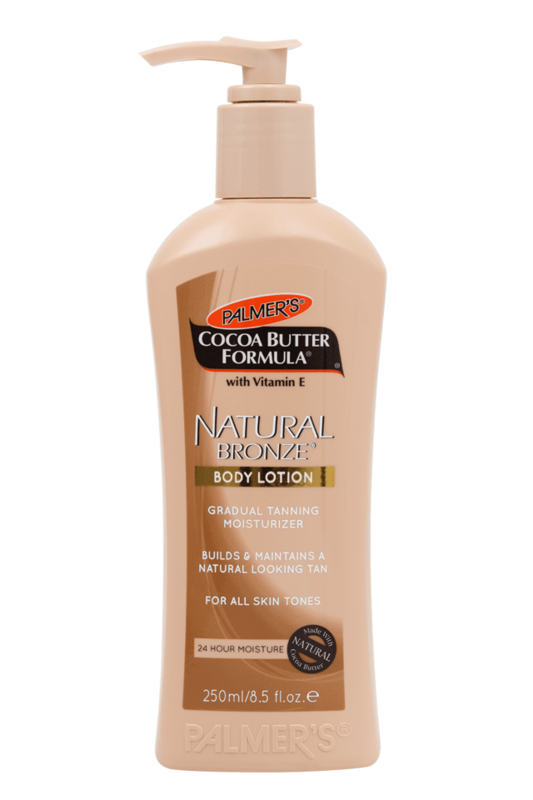 Cocoa butter body lotion to soften, moisturise and smooth. A luxurious, fast absorbing body oil. 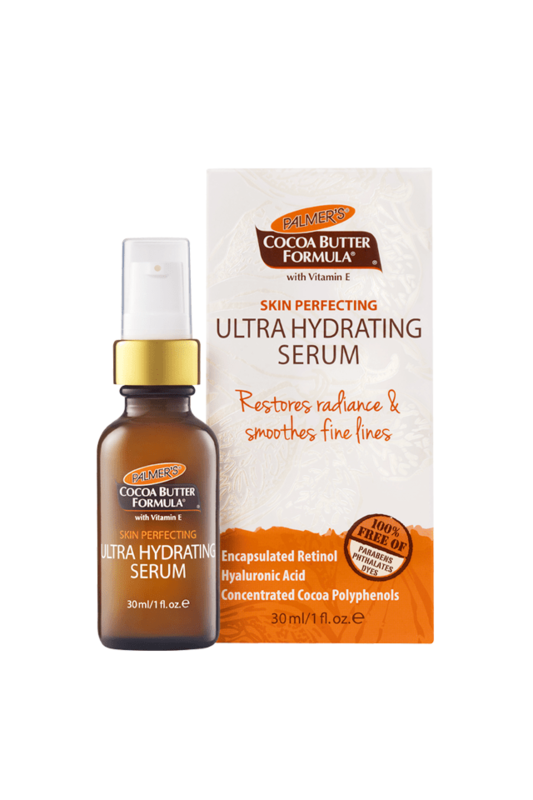 A power-packed daily skin-saving serum. Subscribe to Palmer’s and receive the latest news and events in your inbox.